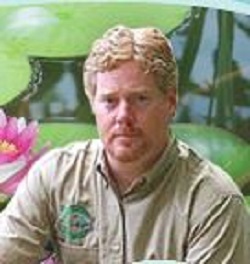 Our sommelier for the event was Wes Parker, owner along with Michelle Parker, of Koi Pond Cellars. 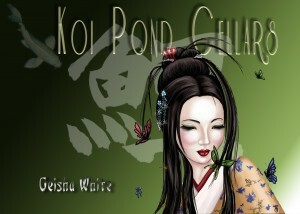 Koi Pond Cellars is a wine label with several wine varieties, as well as a wine specialty shop located in Ridgefied, WA. Wes skillfully guided us through this tasting, and the tasters were not an easily tamed bunch! Our wine selections for the tasting were Geisha White blend, Geisha Red blend, and Elles Cocoa Syrah dessert wine. Being a bit more of a red wine enthusiast I was looking forward to the Geisha Red. A blend of organic Zinfandel and Petite Syrah grapes bottled in a beautiful, heavy, smokey colored glass bottle. The bottle feels good in your hands! The label again featuring a Geisha girl and the kanji symbol on a dark background; it is a very good looking bottle. However, the real beauty is on the inside! This red wine was great! If I said “This full bodied wine is fruit forward on the nose with a touch of mineral and earth tones. Smooth mouth feel with flavors of cherry and Cocoa, slightly dry and pleasant finish”; I’d then be using someone else’s words but they say it so nicely that I’ll use them! In my words, it was really nice. Very smooth, with a silky finish and the wine itself has a beautiful deep red color. This wine will hold up to steak dinners and yet feel at home with a nice hamburger too, try some blue cheese with it! A real winner and a REAL crowd pleaser with Geisha Red! Yum. Once we allowed the red wine to sink in Wes, our sommelier extraordinairre, directed us to the last wine of our tasting. The dessert wine Elles Cocoa Syrah. The smaller bottle was opened to reveal the biggest surprise of the night. This dessert wine was delicious, practically a dessert on its own merits. The label is very cool featuring a beautiful koi fish and a simple spiral design, bringing to mind ripples in a pond. The label is darker than the other bottles but still has a kanji symbol for nishikigoi hidden within the background. As the port style wine was poured, the color was red but darker due to the cocoa in the wine. This wine is also fortified with a hint of brandy and the taste is amazing. Pleasantly sweet, hints of chocolate along with the sweetness of the Syrah grape make this wine amazing. This wine would go well with ice cream, chocolate lava cake, or fresh fruit like strawberries. De-lish! We could have easily enjoyed another round of this incredible dessert wine. hrough their website www.koipondcellars.com and you can also join the Koi Pond Cellars wine club to receive great wines year round. 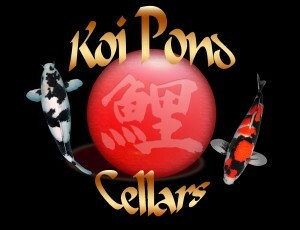 Visit Koi Pond Cellars on Facebook as well. Thanks Wes and Michelle Parker for a great experience and some great wines! Sounds fabulous. The Dry Creek Valley area of Sonoma County, CA is one of my favorites for red or white wines.